tonsils are placed in the vicinity of the Eustachian canals, and when considerably enlarged…they press on the mouths of the tubes as to cause obstruction or occlusion. Furthermore, he explained that aurists do not often examine the tonsils during throat examinations; thus, inflammation and enlargement go undetected, the consequence of which a patient continues to suffer from an undiagnosed affliction causing deafness. To remedy this, Yearsley argued excision of the tonsils was the only solution for treating deafness arising from the throat. Yearsley’s stance on the extirpation of enlarged tonsils was an expansion on his earlier work on stammering. Two of his publications, Stammering and Other Imperfections of Speech (London, 1841) and On the Cure of Stammering (London, 1841), argued that stammering could be cured with tonsillectomy. Yearsley’s claims drew large crowds to his practice on Sackville Street, where over several months he operated on over forty stammerers who were overjoyed with their near instantaneous cure. I shall prove I have neither necessarily maimed my patients, misrepresented facts, nor deluded myself. For the present I must content myself with affirming, that I have cured many cases of stammering by surgical means alone, and shall continue to do so when associated with disorganization of the throat. 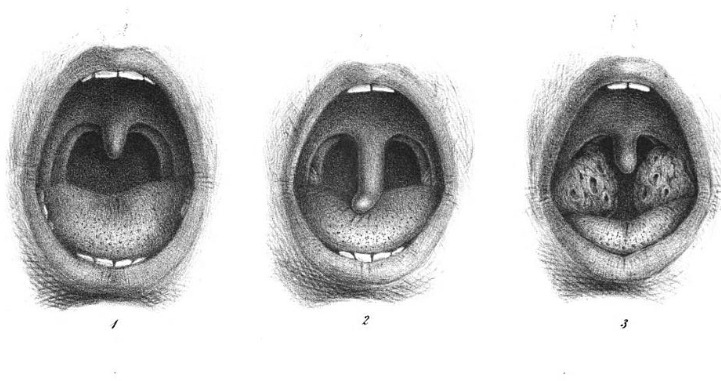 Perhaps having had enough of the criticisms and ridicule against his theories, Yearsley published A Treatise on Enlarged Tonsils in 1842, arguing that tonsillectomy was only beneficial in cases of deafness arising from Eustachian tube obstructions; he later refined his views in On Throat Deafness in 1852. James Wright, The Stutterer’s Friend; or the plea of humanity and common sense against two publications, 2nd Edition (London: Sherwood, Gilbert & Piper, 1843). Yearsley released a pamphlet in response to the Lancet remarks: James Yearsley, Statement of facts relative to some new operations lately proposed for the relief of stammering: in refutation of false and interested counter-statements recently published in the “Lancet” (London, n.p., 1841). James Yearsley, “Operations for Stammering,” The Lancet 36 (24 July 1841): 638.